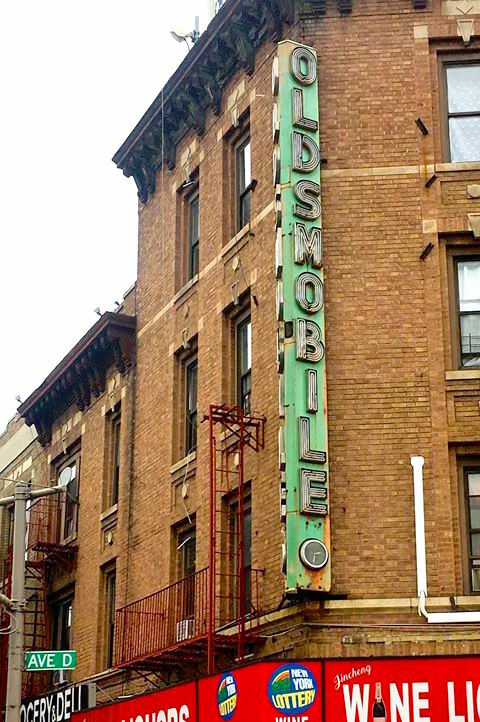 Oldsmobile has come and gone, but this vertical neon sign on Flatbush Avenue and Avenue D still stands. It seems a little out of place—was this an area of car dealerships in postwar Brooklyn? That seems to be the case. 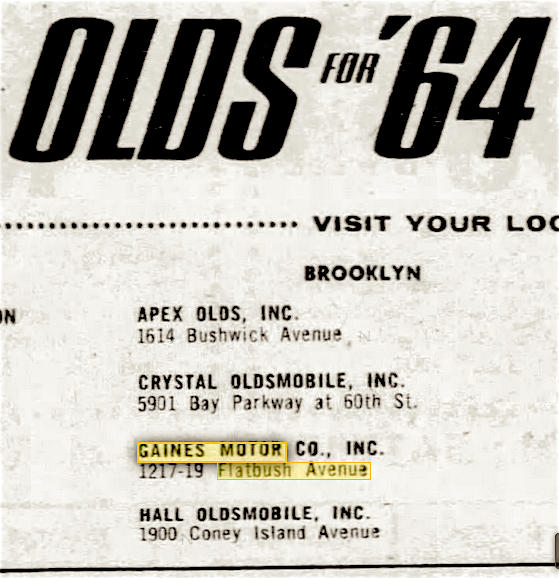 This corner brick building at 1217-1219 Flatbush Avenue was the home of Gaines Motor Co., an Oldsmobile dealership, as this ad from the Daily News in October 1963 shows. The dealership lasted at this location into the 1960s. But to my knowledge the sign hasn’t glowed gorgeous neon for years; I’m not even sure the clock works. The sign is rusted and the green has faded, but it stands as another totem of New York’s past.